Castelbello-Ciardes is a cyclists’ paradise that runs along the ancient Roman Via Claudia Augusta in the south of the cultural region of Venosta Valley. The ancient Roman road Via Claudia Augusta winds along the Adige River through the Castelbello-Ciardes holiday area. Shaded by leafy trees, the Via Claudia Augusta is today a popular and largely paved bicycle route for recreational cyclists. 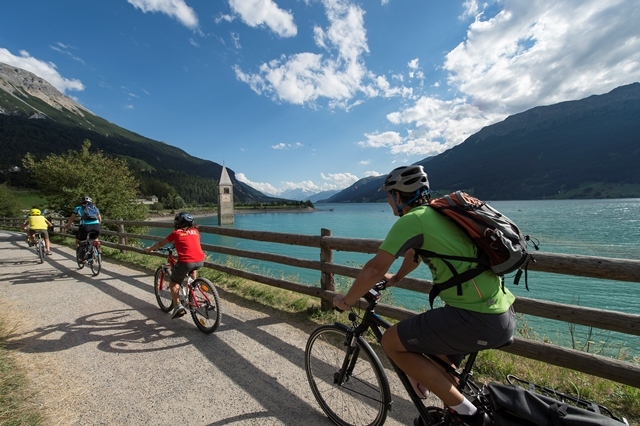 This 80-km-long Adige Cycle Route follows gentle slopes from Resia Lake on the border down to Merano/Meran. The section near Castelbello-Ciardes/Kastelbell-Tschars is particularly popular, as here along the route one finds popular rest and catering areas especially geared to cyclists. The route runs for the most part on flat terrain or gently downhill. The Venosta Valley’s outstanding cycling route network allows for a relaxing ride on ideal surfaces, i.e. either paved or rolled gravel. 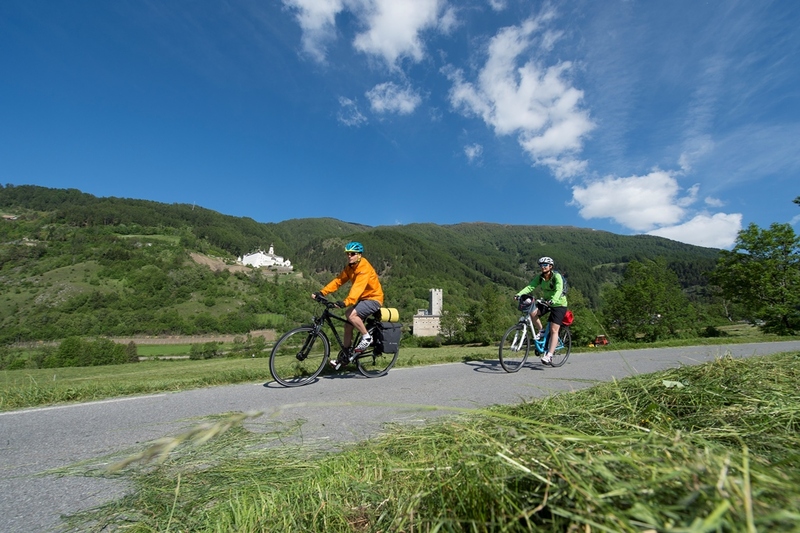 The Adige Cycle Route is especially popular with leisure cyclists. 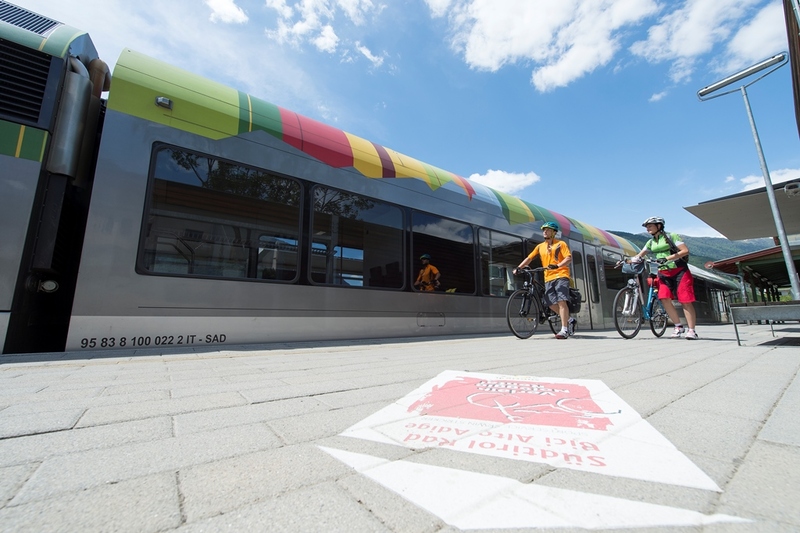 One can rent bicycles at a number of local train stations and return them at others, so that bringing a bicycle along on holiday is not necessary, and tours can be shortened or simplified at any time using the Venosta Valley Railway. 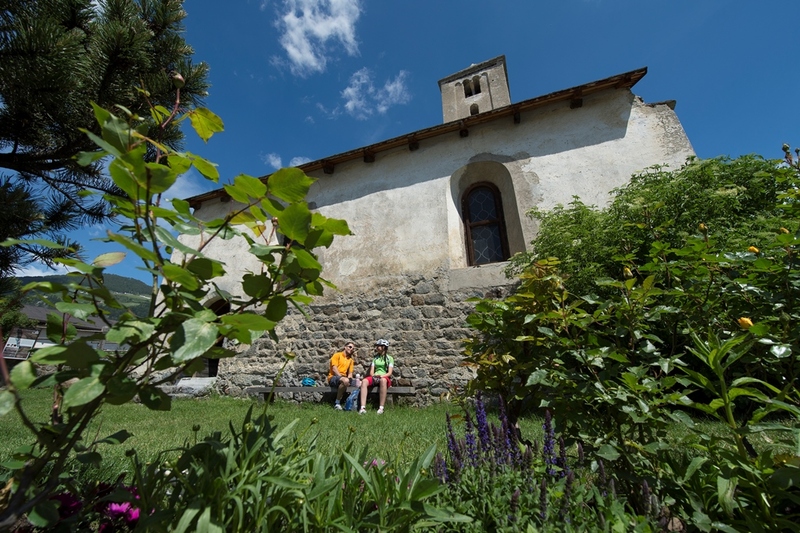 The bike path starts at Resia Lake, passing the church tower in the lake, continues along the shores of the Malga S. Valentino Lake, over Burgusio/Burgeis with a view of Malles/Mals with its seven Romanesque churches, and through the medieval town of Glorenza/Glurns. From there it’s a flat ride to Prad, the gateway to Stelvio National Park, through the marble village of Lasa/Laas, then downhill to Covelano/Göflan and through apple orchards to Laces/Latsch. From Laces the route runs by Kastelbell Castle and the early Christian St. Prokulus Church in Naturno/Naturns, and ends in Merano/Meran.